Driving Lessons in Hounslow Welcome to Thames Driving School Hounslow, TW3 Hounslow Central, Hounslow Heath and Hounslow in West London. These are questions an examiner will ask you at the start of your driving test in Hounslow. You will be taught to learn to drive in Hounslow by a fully experienced and fully qualified DSA (Driving Standards Agency) driving instructor in a patient and relaxed environment, in a clean, smoke free customized dual control specialist vehicle. With two clutches, brakes and accelerator pedals. Let Thames Driving School Hounslow help you learn to drive in Hounslow. To become a fully qualified driver in Hounslow you need good training, you need the best driving lessons and the best driving instructor in Hounslow. The quality and the professionalism of all our driving resources we provide to our driving students are second to none and all our driving instructors in Hounslow are highly experienced. Our cheap driving lessons in Hounslow TW3 & TW4 have been tailored in such a way that it fits in around your current driving skills and your driving needs, whether your doing refresher driving lessons, advanced, intensive or you are a total beginner and new to driving. We try to ensure all your driving lessons in Hounslow are interesting, making sure you are constantly learning the right driving skills and gaining the correct knowledge you will need to be a successful and a safe driver in Hounslow. We provide flexibility with all our driving lessons and courses for you to manage any other commitments you have. Learning to drive is not rocket science - it is quite simple and that's how we teach all our driving students in Hounslow, we start with the very basics and gradually build your driving confidence, quickly and efficiently to ensure that you don't waste time and money on more driving lessons, you will know when your ready, when you feel comfortable behind the wheel and when you are in total control of your car. Intensive Driving Courses Hounslow help to you to pass your driving test in the shortest possible time and least number of Lessons. Refresher Driving Courses Hounslow are perfect for anyone wanting to increase their driving confidence or improve their driving skills. Advanced Driving Courses Hounslow are designed to help experience drivers who want to become the better and more professional drivers. Motorway Driving Courses are ideal for any driver who needs to gain experience and or lacks confidence when driving on the motorway. Pass Plus Driving Courses help to increase the ability, skills and confidence of newly qualified drivers whilst offering discounts on their car insurance. Intensive Driving Lessons, Same as Crash Driving Courses KT1, Ideal for Beginners or those who have taken a few driving lessons who need to pass their driving test quickly. Automatic Driving Lessons Hounslow For those drivers who have had problems with manual gears, clutch control and stalling. 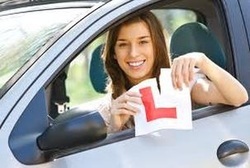 Beginner Driving Lessons HOunslow we'll quickly assess what your driving needs are and how you need to learn. We tailor our driving courses & lessons to suit you. We work with you at a pace to suit you. With our Hounslow Driving Instructors you receive the personal and dedicated attention needed to pass your driving test quickly. We have been a long time driving school favourite of University and College Students. Because we are one of the BEST driving school in Hounslow and South West London! We have an excellent reputation for first time driving test pass rates in Hounslow, Norbiton, Coombe.